Mining is the process of extracting ores and other substances from the earth. 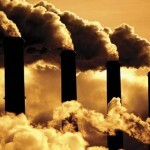 It can have enormous and irreparable environmental impacts, especially with technological improvements in the industry. These impacts affect national parks, indigenous peoples, and nearby communities. In the United States, many large mines are on land leased from the government to private corporations. 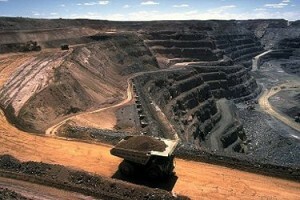 Some communities are dependent on the mining industry, such as those around some coal mines. The 1872 Mining Law allowed the mining of valuable minerals on federal land with minimal payments to the U.S. government. Its purpose was to encourage westward expansion of European settlement. Some of the oldest roads in the West are old mining roads. Mining for gold, silver, and other minerals was extremely dangerous work in the late 1800s. The mines were very warm, collapsed frequently, were subject to fires and floods, and were filled with toxic gases. Long-term leases, low-cost sales, and other arrangements allowed mining interests to develop a basic natural resource in the West. While they were doing so, some of the basic road infrastructure was developed. The profits for these government-protected risks is one of the controversial issues. Critics of the 1872 Mining Law contend that the profits generated by mining federal lands are very large and no longer need any government subsidization. Environmental concerns about roads generally, and about the increasing scale and environmental impacts of mining and loss of habitat, enter the battleground. Mining is restricted by local land-use regulations, state environmental laws, and federal environmental rules and regulations. Many more restrictions are imposed on the timing of mining activities on federal land. 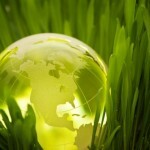 Generally, environmentalists would like to see more mitigation and cleanup of environmental degradation. Many environmentalists would like to see absolutely no mining in areas where there are endangered species. In terms of land speculation with federal mineral rights leases, the issue is how long the lease can be held without mining. This makes it difficult for things such as conservation easements or for any private property owner to simply not develop his or her mineral rights. It is a use-it-or-lose-it proposition that works to increase mining and the environmental impacts of mining. Diligence requirements in the leases limit how long a lease can be held without any development and how long it can be held after production is shut down. Moreover, regular expenditures are required by the terms of the lease. Environmentalists and others maintain that those restrictions are not rigorous enough to constrain development. Others think that restrictions are a good idea but that existing restrictions are more than adequate. Mining fees are distributed primarily to residents of sparsely populated western states because Congress allocates half of gross mining receipts to the state in which the mining occurs. That is one reason why many state environmental agencies and communities in these states support the mining industry. Many environmentalists would like to use some of that money to restore the ecology to its pre-mining ecological condition. Many question whether mining can be described as sustainable. Of all the earth and ore disturbed for metals extraction, only a small amount is actual ore. For example, in 1995, the gold-mining industry moved and processed 72.5 million tons of rock to extract 7,235 tons of gold. The rest, 99 percent, was left as waste. Mine tailings can be hazardous and build up quickly in the host community. Cleanup of radioactive uranium tailings is a significant environmental issue. Some Native American environmental justice issues revolve around the cleanup of low-level radioactive waste, often piles of mine tailings. An initial environmental question is whether it is acceptable to mine at all. For example, it is held that in some instances, even an operation with state-of-the-art environmental design should simply not be built because it is planned for a location that is not appropriate for mining. Environmental critics claim that mining companies want to engage sustainability only in terms of how to mine, not whether to mine. While nations and multinational corporations profit from mining operations around the world, local communities face the resulting environmental impacts. Mining communities have begun to exercise their right to prior informed consent to mining operations. The concept of prior informed consent involves the right of a community to be informed about mining operations on a full and timely basis. It allows a community to approve an operation prior to commencement. This includes participation in setting the terms and conditions and addressing the economic, social, and environmental impacts of all phases of mining and post-mining operations. Some environmentalists oppose this type of community rule because communities’ short-term economic interests may outweigh long-term environmental implications. They wonder how well all the terms and conditions in the prior informed consent would really be enforced. Communities, environmentalists, mining companies and their employees, and government all decry the environmental impacts of mining. Yet consumer demand for products made from mined materials and a rapid increase in technology allow the scope and scale of mining to increase. 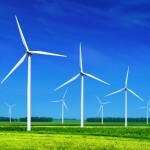 This will increase environmental impacts and also future controversy. Burns, Shirley Stewart, Bringing Down the Mountains: The Impact of Mountaintop Removal Surface Coal Mining on West Virginia Communities, 1970–2004. Morgantown: West Virginia University Press, 2007. Crow, Peter, Do, Die, or Get Along: A Tale of Two Appalachian Tows. Athens: University of Georgia Press, 2007. Crowder, Ad’aele A., Earle A. Ripley, and Robert E. Redmann, Environmental Effects of Mining. Boca Raton, FL: CRC Press, 1996. Hartman, Howard L., and Jan M. Mutmansky, Introductory Mining Engineering. New York: Wiley, 2002. LeCain, Timothy, Mass Destruction: The Men and Giant Mines that Wired America and Scarred the Planet. New Brunswick, NJ: Rutgers University Press, 2009.